There are plenty of things to be thankful for in NYC this time of year, and living in a mecca of holiday cheer ranks high among them. 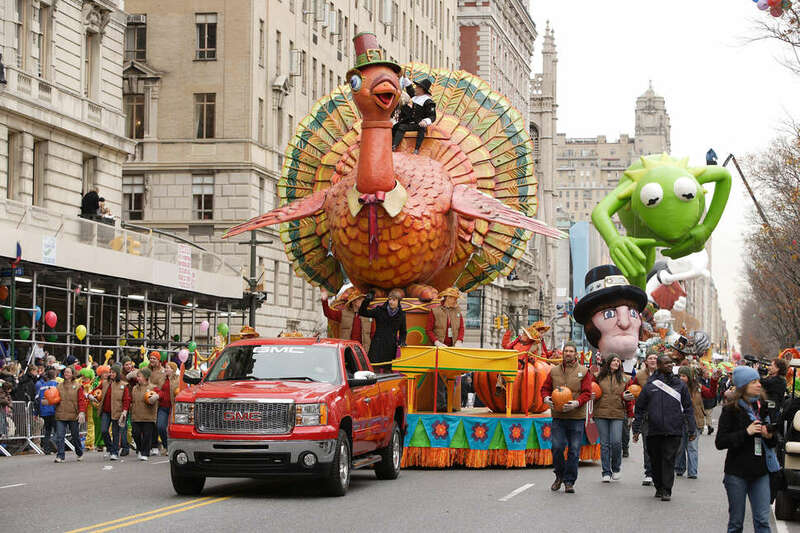 The Macy’s Thanksgiving Day Parade is right in our own backyard, after all. The parade’s first iteration in 1924 was staged as a Christmas celebration, started farther uptown, featured live animals in lieu of the eventual world famous balloons, and drew about 10,000 observers. This year, about 3.5 million people are expected to attend. So how’s a New Yorker supposed to navigate the hordes of frenzied tourists, street closures, and subway service changes? We’ve got you covered right here, with everything you need to know to join the hoi polloi and enjoy the extravaganza. Count it as one more little thing to be thankful for. The parade kicks off at 9am from 77th Street and proceeds down Central Park West, wraps around Central Park South and passes Columbus Circle. It continues down Sixth Avenue, snakes around the corner of 34th Street and finishes at Herald Square at noon. The early bird — ahem, turkey — catches the views. Spectators stake out spots along the first leg of the parade on Central Park West from 75th to 59th Street as early as 6am. Type Bs/normal humans can arrive later and watch from farther down Sixth Avenue. Don’t even think about watching on Sixth Avenue between 34th and 38th Streets or in front of Macy’s Herald Square — the national broadcast will preclude your view. For slightly thinner crowds with all the helium-fueled airborne pageantry of the main event, watch the balloons get inflated outside the Museum of Natural History on Wednesday. Enter at West 73rd Street and Columbus Avenue from 1-8pm on Thanksgiving Eve to see a 37-foot Grinch, 46-foot Charlie Brown, and 60-foot Olaf come to life. First, plan to meet up with your friends before heading to the route to avoid chaos. Although the subway will operate on a Sunday schedule on Thanksgiving Day, it’s still your best bet. 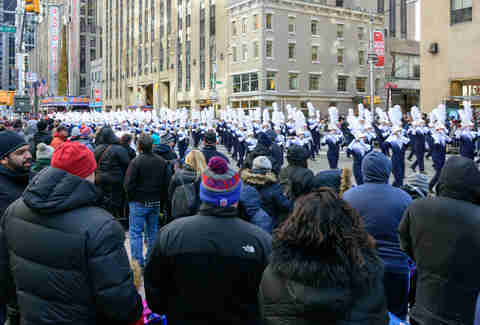 Anticipate entrance and exit closures along the parade route, and avoid seemingly convenient stops along Central Park West and at Herald Square and Columbus Circle. Play it safe and take the 1, 2, or 3 train to 72nd and Broadway, the E train to 50th and Eighth Avenue, or the N train to 49th Street and Seventh Avenue. You’ll walk a little farther, but you’ll get there. Always check the MTA’s service status updates online and via Twitter before you board. And forget about taxis, Uber, and the bus; due to street closures, road travel is not recommended. The Thanksgiving Day forecast predicts sunny skies and a high of 29-degrees, so dig out those scarves, hats, and mittens, and be sure to bundle up. Wear layers you can easily remove in the unlikely event it warms up. Indulge in the breakfast of your choice before you go; even the hot dog vendors will be swarmed after Santa passes you by. And go easy on the coffee or cocoa — that swarm warning goes double for nearby bathrooms. This year’s parade includes 25 giant balloons, seven balloonicles (aka balloon vehicles), 31 floats, 20 performers (including John Legend, Martina McBride, and Diana Ross), and 12 marching bands. 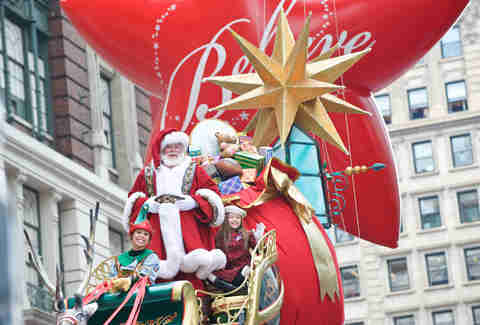 Attendees can expect Tom Turkey to steal some thunder from the parade’s perennial grand finale star, Santa Claus. The parade’s oldest float has had the same look since 1971, and this year he’ll emerge to ring in Thanksgiving Day and usher in the procession with an updated look and some new technology. You’ll see him flap his mechanical feathers and bob his head a safe distance from your dinner plate. Also new for 2018: An exciting act will transform the whole street into a bowling alley, complete with a 12-foot diameter bowling ball and 16-foot tall pins. A delicious new float will fulfill your food fantasies — it’s a chocolate factory on wheels topped with a performing Ashley Tisdale. A first time showstopper float, Splashing Safari Adventure, recreates a tranquil wildlife landscape with shimmering blue water, a puppeteer-driven confetti shooting elephant and sky-high giraffe on a mobile stage of vibrant flora and fauna. And Pomer says to keep an eye out for a beautiful new balloon called Little Cloud. The cheeky, smiling cloud balloon stands for light, tranquility, and unconditional love. Treat yourself to a cornucopia of goodies with a reservation at one of our recommended Thanksgiving Day restaurants. Tear into a fried turkey leg at Ferris, indulge your carb cravings with mushroom stuffing at Left Bank, or gnaw on a leg of lamb at 21 Club. 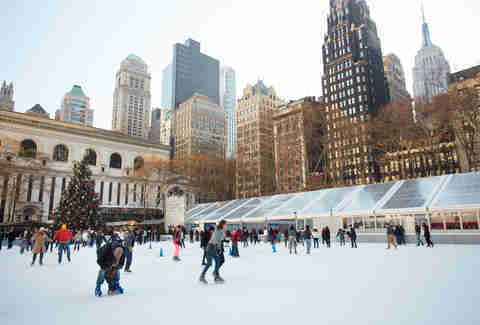 Kick off the holiday spirit by gliding right into winter fun — ice skating at Bryant Park or Rockefeller Center — or catch a classic NYC winter show like the Radio City Christmas Spectacular. If you didn’t already get your Macy’s fix at the parade, stroll by their holiday window display or catch the creations at Bloomingdales or Saks Fifth Avenue. NBC will broadcast the parade from 9am-noon in all timezones. Alex Erdekian is an editorial assistant at Thrillist. She is thankful for the couch she will be sitting on while the parade is happening.